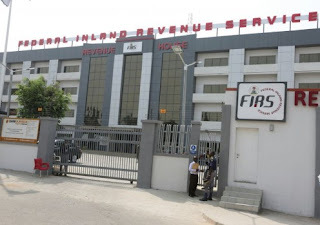 ACCORDING to a Mr Godwin Oloke who is a member of Chartered Institute of Taxation of Nigeria (CITN), Nigeria charges one of the corporate taxes in the world at 30%. This means that Nigeria’s Companies Income Tax (CIT) is high at 30%. There is also the two percent Education Tax and one percent NITDF Levy. There is also the Capital Gains Tax if they dispose of their assets. These are in addition to indirect taxes like value added tax (VAT). Yet, Nigeria has one of the lowest taxes to GDP rates in the world according to official data. 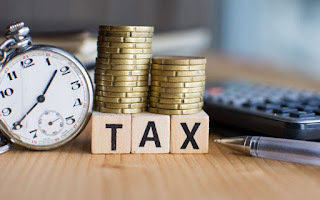 According to International Monetary Fund (IMF), Nigeria’s ratio of tax to GDP of 5.9 per cent is the lowest in sub-Saharan Africa especially considered along other large sub-Saharan economies. 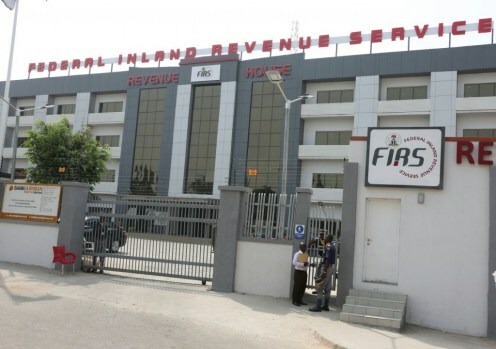 This is despite a population of 198 million and a tax population of 33 million by the end of 2018 according to Chairman, Federal Inland Revenue Service (FIRS), Mr Babatunde Fowler. Before the enactment of Tax Cuts and Jobs Act (TCJA) in 2017, the United States (US) corporate income tax 40 per cent, second highest in the world after UAE, which charges 55 per cent. TCJA however, slashed that rate to 21 percent, which is below the global average 24.03 per cent corporate tax rate. The decrease in the U.S. corporate tax rate is one of the most dramatic decreases of any country since 2003, according to KPMG. Only Kuwait, which decreased its corporate tax rate from 55 per cent to 15 per cent in 2009, had a bigger percentage change. Other countries with higher than average corporate tax rates include India-35 percent, Venezuela-34 per cent, Brazil-34 per cent and Japan- 30.86 per cent. Then, US economy was widely regarded as uncompetitive for three main reasons: cost recovery, worldwide application, and a high statutory rate. China was the fastest growing economy before President Donald Trump was elected. China, the second largest economy in the world has a corporate tax rate of 25 per cent. In the second quarter of 2018 however, the US economy grew by 4.2 per cent. Below the global average 24.03 per cent corporate tax rate. However, a global analysis of rates of corporate taxes would suggest that countries with low corporate taxes are doing economically better than their counterparts with higher rates. Whereas UAE has a corporate tax rate of 55 per cent, in reality, that tax rate is only enforced on foreign companies engaged in oil exploration and production and foreign banks. Taxes are enforced individually by the seven emirates that makeup the UAE; there is no federal corporate income tax. The UAE has a strong economy with a high per capita income. Once highly dependent on oil, the government has successfully diversified the economy to include tourism, finance, manufacturing and air transport. Other countries with a high corporate tax rate are typically struggling economically. Venezuela has a high corporate tax rate at 34 per cent in 2018 but the country is in an economic crisis, with the International Monetary Fund predicting that its inflation rate could hit one million percent by the end of 2018. Brazil also has a high corporate tax rate at 34 per cent and its economy in 2018 is struggling with its currency real weak against the U.S. dollar and its GDP growth in the second quarter of 2018 standing at a mere 0.2 per cent. Now with the US slashing its corporate taxes from 35 per cent to 21 per cent, most affluent nations now boast of the most business-friendly tax regimes. At least 30 of the Organisation for Economic Cooperation and Development (OECD) countries have some of the lowest company tax regimes. And by region, Europe has the lowest corporate tax rate at 14.48 per cent, much lower than the average tax rate in Asia (21.21 per cent), the Americas (28.03 per cent) and Africa (28.26 per cent). Typically, Africa, the poorest region of the world also boasts of the highest company tax rates than all others. 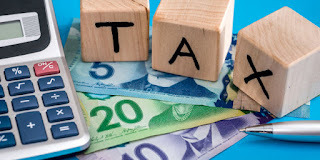 Although there are arguments for and against high and low corporate tax regimes, many countries with low tax regimes have a form of indirect or consumption tax to augment live value added tax. However, with 30 percent CIT, the Minister of Finance, Mrs Zainab Ahmed has hinted of a planned increase in the rate of VAT. She told said at a press conference in January that government may ask the National Assembly for an upward review of VAT rate especially on luxury items. But Oloke, who is also a chartered accountant, said “countries are tilting towards indirect taxes like VAT, which is consumption tax. They impose discriminatory consumption taxes such that those on luxury items are higher that on essential items and that way, high net worth individuals pay more taxes because they consume more. By lowering CIT, companies will have more money to operate instead of borrowing to expand their operations which is expensive in Nigeria. Companies can then produce more and ultimately hire more employees. “Lowering CIT may also lure international investors who are always looking for countries where thay can pay lower taxes without violating any laws. Multinationals cite their companies in locations with lower tax rates. And when they come, they hire more workers thereby reducing unemployment and reducing poverty. This is a deliberate policy of some countries like UAE to lure investors and when investors come, other businesses also benefit like housing, hospitality, transportation, etc. Influx of businesses will also boost GDP and generally have a multiplier effect on the economy. In essence, it will be profitable for government to reduce CIT and other direct taxes but increase rate of indirect taxes especially on luxury items. Government should not maintain a regime of high CIT and high VAT,” he advised. Lowering corporate tax will also lead to several other positive economic effects such as encouraging investment in the Nigeria and discouraging profit shifting. As additional investment grows the capital stock, the demand for labour to work with the new capital will increase, leading to higher productivity, output, employment, and wages over time. Economic evidence equally suggests that corporate income taxes are the most harmful type of tax and that workers bear a portion of the burden. Reducing the corporate income tax will benefit workers as new investments boost productivity and lead to wage growth. To investors, corporate tax rates is a major consideration when making investment location decisions as the main drivers of economic output include willingness of people to work more and to deploy capital—such as machines, equipment, factories, etc. Taxes play a role in these decisions. Evidence abound that of the different types of taxes, CIT is the most harmful for economic growth. Capital is very mobile and so is very sensitive to taxation. 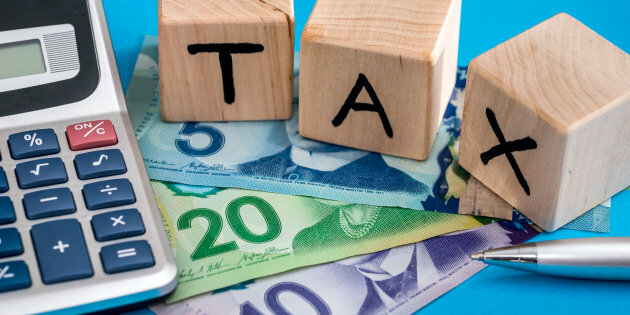 It is for instance, relatively easy for a company to move its operations or choose to locate its next investment in a lower-tax jurisdiction, but it is more difficult for a worker to relocate his or her family simply because of high tax rates. It should also be noted that contrary to popular belief, companies are not the ones that bear the cost of CIT. The true burden of the corporate income is split between workers through lower wages and owners of the corporation. As capital moves away in response to high statutory corporate income tax rates, productivity and wages for the relatively immobile workers fall. Empirical studies show that labour bears between 50 and 100 per cent of the burden of the corporate income tax. In the long run, it is split evenly by both capital and labour. When firms think about making an investment in a new capital good, like a piece of equipment, they add up all the costs of doing so, including taxes, and weigh those costs against the expected revenue the capital will generate. A Vice President, Abuja Chamber of Commerce, Industry, Mines and Agriculture (ABUCCIMA), Mr Annene Johnson corroborated the view that “lowering corporate taxes is better for businesses because it will encourage more companies to invest in the economy. And because paying less taxes will increase their profitability, those companies will then be able to expand their operations and increase production, they will then employ more staff. Nonetheless, there are those who believe that lowering CIT may not be the cure-all of the business stagnation in the country. Some critics cautioned that companies may not necessarily invest tax savings in employing more workers or increasing salaries. In effect, how much can lower CIT improve the economy as a whole? Sergio Rebelo Nir Jaimovich from the University of Zurich concluded in a recent research that cutting the corporate tax rate can, indeed, spur growth only if the current rate is exceptionally high. And Nigeria’s rate is indeed, one of the highest in the world.